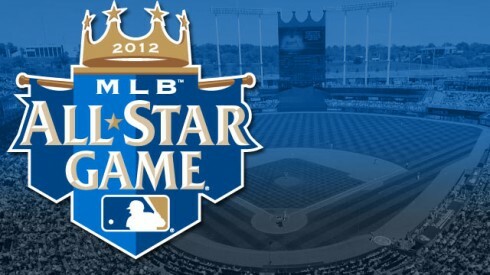 Mariners Latest: All-Star Game Proves That The Mariners Can Win A World Series! All-Star Game Proves That The Mariners Can Win A World Series! 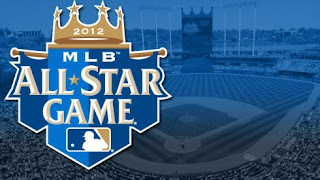 The 2012 All-Star game was held at Kauffman Stadium, home of the Kansas City Royals. A beautiful day at the ball park as the MLB's best players suited up for a what should have been an epic battle. Sadly, it was nothing of the sort. From the very first inning, the National League pounded on the American League as if it were it's little brother. Justin Verlander, the AL starter had no answers for the NL lineup as he was walloped for 5 runs in his one inning pitched. Matt Harrison was another AL pitcher that lacked an exit strategy as he gave up 3 runs on 4 hits in the 4th inning. A single, two triples and a homerun. On the opposite side of the diamond, Matt Cain and company totally dominated the American League hitters and made it look easy. Allowing just 6 hits through the course of 9 innings, the only chance that the AL had to score was in the bottom of the 5th when Clayton Kershaw came in to pitch. After loading the bases with two out, he ended up getting out of the jam without a blemish. The NL used 11 pitchers to completely shut down the AL for 9 consecutive innings. That brings me to my point. We all understand that the Mariners are in a rebuilding process and we are all very tired of all the excuses about our young ball club and even more tired of hearing how much time they need to adjust to the big league level. I want to draw some parallels from today's game, to our own Seattle Mariners. The American League squad hit like the Seattle Mariners today. Not really taking advantage of any opportunities. Never really making any opportunities. The pitching for the AL was also a lot like the Mariners in the fact that they couldn't stay out of the big inning. But these are not the comparisons I want to make. We have all been really focused on our hitting and a lot of us have totally lost all confidence in the rebuilding plan because we cannot seem to figure anything out at home and have had one of the most horrific offensive clubs anyone has ever seen. Work with me here for a moment; What if the offense isn't where our attention needs to be focused? Remember the names Danny Hultzen, Taijuan Walker and James Paxton? How about Erasmo Ramirez, Blake Beaven and Forrest Snow? All these guys will be competing for starting jobs in the next two years and they are all projected in the Top 20 Mariners Prospects. In 2014, the Seattle Mariners should have a very solid, strong starting rotation. By that time, some of the guys that we're looking at right now may have figured it out and still be a vital part of this plan while others move on down the road. The parallel here is about what this great mix of young talented pitchers did to the most high powered, highly touted offenses ever created. They allowed NO runs on just 6 hits. Eric Wedge said the other day that we can't have our pitchers go out and try and be perfect every day just to win a game and we can all understand that it doesn't work out that way. I understand that this is just one game, but I can also look back to last year and remember that we were barely out of first place and just a game under .500 at the All-Star break and things were surprisingly good. It wasn't because of our hitting, but our pitching. Things fell apart last year and we traded big pitching pieces to try and get SOME offensive pieces added to our roster. It has yet to prove successful, but only time will truly tell. The important thing is to understand that the number one assets to carry on a team is young, dynamic pitchers. Pitchers that can peak the interest of every club at any time and pitchers that are ready and hungry to make an impact at the big league level. The Mariners have those pieces. We need to continue to collect those pieces. In 2014, when we're climbing the ladder in the AL West, Texas and Anaheim are struggling to keep high priced talent and Houston still has yet to find itself, you'll find 2 teams clamoring for attention near the top of the AL West. The Mariners and the A's. Why? Pitching, pitching, pitching. The ability to use our park as an advantage instead of as a curse will be the reason we start winning one run games and extra inning games rather than losing them. I'm not saying that Texas and Anaheim are going to fall off the face of the earth, but the Phillies give us a great example of what overpaying your players gives you. Well, Ichiro Suzuki gives us that same example along with Chone Figgins. We have to stick with the plan. Hitting will get better. Whether it be by adding more pieces or by some of our current hitters stepping up, but it will get better. It can't get worse. What really is going to make the difference is holding every other team to 2 runs or less on a consistent basis. If we can have our pitchers pitch at all like the NL did tonight in K.C. we'll be the most dominate team in the American League. Be patient Mariner fans! (I'm one to talk) This NL All-Star rotation has given us more than a glimmer of hope. Remember, it's not all about offense. We've been putting together this team and only half of the pieces have arrived. As the others start to arrive, we'll start to see this team take shape. Be faithful!